iGeeksRadar Its Everything about iOS! Being an ardent iOS lover, it is almost impossible to stop ourselves from trying out the latest release of the iOS 12 Beta. If you are utilizing a beta release of iOS 12, there are high chances that you have already come across the ‘A New iOS Update is Now Available’ bug. 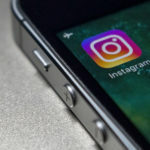 The bug was present in the previous iOS 12 beta releases as well; however, users got to face the same, at most, once in a day. 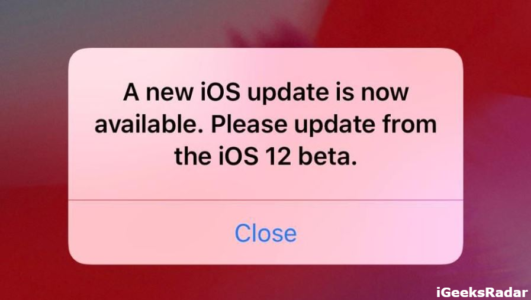 Since August 27, 2018, with the release of the latest beta for iOS 12, the frequency of occurrence of ‘A New iOS Update is Now Available’ bug has increased to annoying and disturbingly high levels. Is your Bluetooth not working in iOS 12? Read here as to how to fix it. The bug or the error which we are talking about is, actually, a pop-up that claims a new iOS 12 update is available and users need to update their iOS devices. The issue here is that there is no update available at all. The problem has intensified with the bug or the so-called iOS 12 update error appearing after every phone unlocks or by simply accessing the notification center. It becomes extremely annoying for the iOS users since each time the bug pops up they require tapping on ‘OK’ to manually dismiss the same. It is becoming, almost, impossible to use the iOS device with the presence of this bug. Taking into account the opinion of iOS developers, it is believed that the root cause behind this issue is an error in the latest Beta update that makes the iOS device to think that the expiration date of the current beta is about to come. Hence, the system alerts the user by displaying the irritating popup several times in a day. Scan QR Code in iOS 12 from Control Center & 3D Touch[Step by Step Guide]. 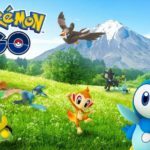 As of now, Apple hasn’t released a fix for the same. Hence, users need to take help of a temporary fix to get rid of the ‘A New iOS Update is now Available’ issue. All which is required to do is to navigate to Settings -> General -> Date & Time and disable the Set Automatically option. Next, please set up a date which is earlier than 27th August 2018 since that is the day the issue increased at alarmingly high levels. Of course, this will have a serious effect on the applications who are utilizing the set date. But, until the actual fix arrives from Apple, this is the only thing which we can do. The knowledge of the bug is already present with Apple and the official fix for the same will be released soon. Apple has to get it fixed on a priority basis since the bug is extremely annoying for the loyal iOS users and tarnishing Apple’s image as well. Stay tuned with us and we will let you know about the official fix as soon as the same is released. Meanwhile, if you have got any questions to ask please feel free to drop the same in the comments section below. 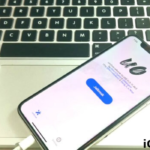 iOS 12 Beta Jailbreak Successful on iPhone X [Video Demo by Liang Chen]. 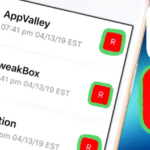 How to Enable Grouped Notifications on iOS 12 [iPhone/iPad]. iGeeksradar is going to be the prime source of top notch updates, reviews and tutorials on iOS. We are having some preeminent writers on the board to provide the best to our readers.